1/22 Update: Due to some last minute changes, the Lancer no longer has a tear down duration, and will only have to setup once during a fight. The description has been updated accordingly. 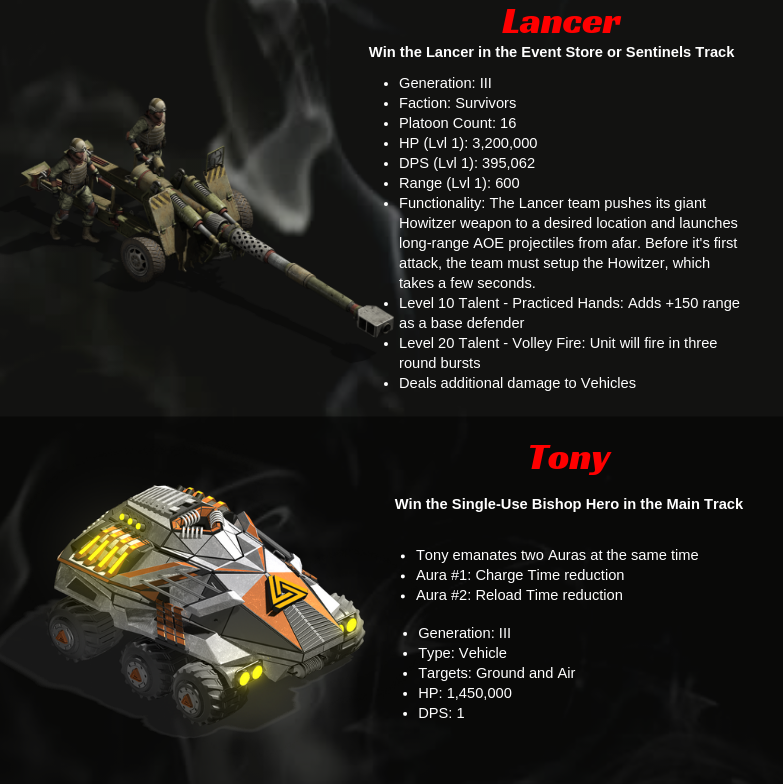 pairing a lancer with bishops seems like it would be interesting. Hey Tony you're so fine, you're so fine you blow our minds.. Hey Tony.... Hey Tony. When is the Irkle expected to become a Hero ? .. You know, a more retarded unit that runs right up to a distance of 5 and attempts to outwit the target with it's much superior intellect. 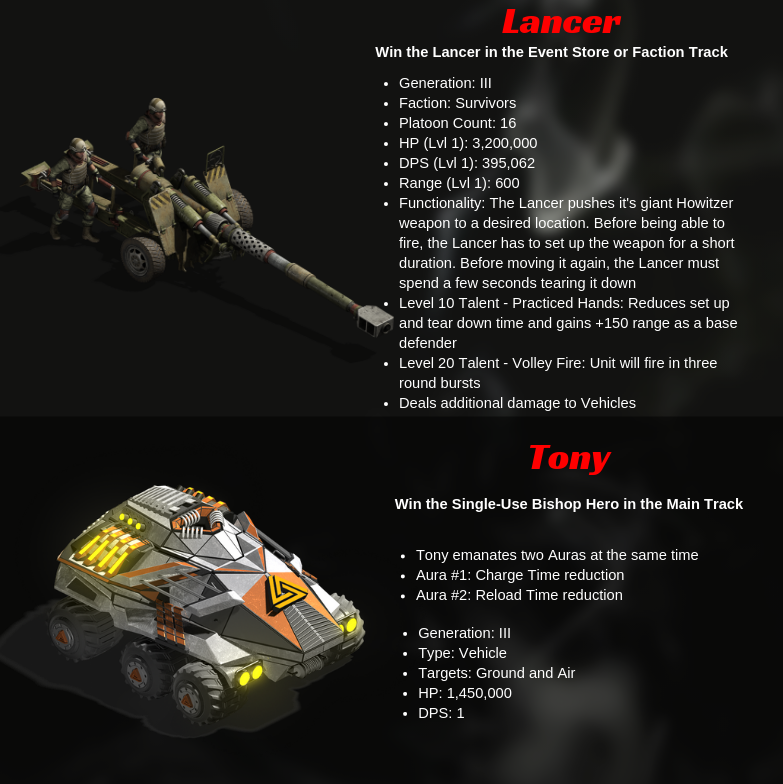 Is the Lancer a Infantry unit or vehicle? Looks like it could be considered both. id asume Infantry but would like to know for sure. The lancer well b only AG are ? it may be an infantry similar to how a mortar team is an infantry. Kixeye I understand this is a game and all but this thing is cartoony. At this point I'm looking for more realistic weapons used in real life. Like Abrhams for tanks and stealth bombers that real life militaries have. Scud missiles for defenses stuff like that. But anyhow it's gonna be interesting to see if this is infantry, vehicle, or air unit lol. Defense lab has been idle for awhile how come defense has become a non factor but we have a hyper inflation of offensive stuff? i think its a infantry not a vehicle because there is no engine and also read this. So its basically like a mini Judge long range cannon with roland/hammer reload times, talent and weapon? will it have short range limitations like nightmare/envoy? Tony, really, Tony? Setinels heroes have such wonderful names like Galen, Ardra, and Sunder, and then we have Tony. You should let the fans drum up hero names at this point, it'll probably sound a hell of a lot cooler. Progress in the name of a better future. 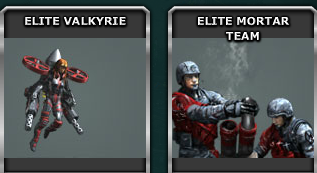 for vehicle and SPECIALLY for DARKSTORM !!!!!! Can't understand why they mattered in creating Tony... for me it is not very useful. was always going to be a sentinel hero this month, just of the 3 units sentinels had to choose from there wasn't much they could do to make a good hero. sure, in this one event they might do ok, but after that can you say you would ever use a valiant hero?